Our experienced sales staff is eager to share its knowledge and enthusiasm with you. We encourage you to browse our online inventory, schedule a test drive and investigate financing options. 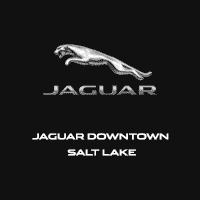 You can also request more information about a Jaguar using our online form or by calling (801) 257-3600. If you don’t see a Jaguar that you are interested in, click here and complete the form. We will gladly inform you when a matching car arrives. To visit us and test drive a Jaguar, click here for step-by-step driving instructions to our dealership, or give us a call. We look forward to serving you!